varnish or adhesive delivery lines. 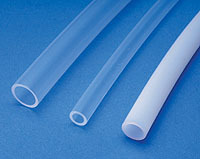 Chemfluor• PTFE Tubing also services numerous applications in the automotive, electrical and appliance markets. Excellent chemical resistance. UV and weather resistant. 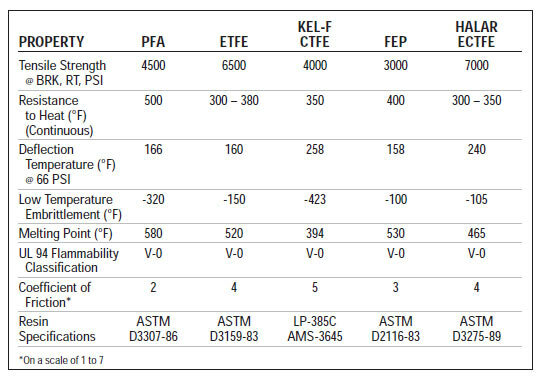 Temperature range of -348•F to 500•F. Can be sterilized by several methods. Non-stick characteristics. FDA compliant; USP Class VI.